I think there are some interesting insights to be gained on the topic of God by considering other things, like Santa Claus, and Krampus, and the tooth fairy, and (for the sake of today’s discussion) aliens. Because, just like with the topic of God, none of us knows for sure (as in having epistemic certainty) whether or not aliens exists. And it’s not like we don’t have compelling reasons to go one way or the other on that. It is simply that we are trapped in a nifty little conundrum known as the Fermi Paradox. On the one hand, there are a lot of stars in our galaxy (to say nothing of the Universe as a whole). 100 billion stars to be precise… er, well, as precise as you can be when counting stars. That’s a number that humans have a hard time wrapping their minds around. Moreover, a significant portion of those stars are comparable to our own star (the sun) in size, mass, and intensity. It seems very likely that many, perhaps even most of those stars have planets very much like our own planet earth. We already know of a number of them. Being like earth means that there is a good chance of life occurring. The Miller–Urey experiment and subsequent ones, have demonstrated quite definitively that the building blocks of life are not all that unlikely under the right conditions — the sort of conditions that are fairly common among Earth analog planets. Now take into consideration that not only is it highly probable that there are other planets out there that have produced life, but most of these stars, solar systems, and planets are much much older than our own. In other words, such planets have probably already produced civilizations that are much older, and therefore much more advanced, than our own. If we have already figured out how to travel and communicate outside our planet’s atmosphere, imagine what a civilization with thousands (or millions) of years more history than us would be capable of. Far from being a crapshoot in the dice roll of evolution, it is actually entirely possible likely that the combination of life and the mechanics of evolutionary biology will inevitably produce advanced species and civilizations. So, by all accounts of probability, there is an advanced space-traveling civilization out there. In fact, there are probably several space-traveling civilizations in our very own galaxy (again, to say nothing of the universe). On the other hand, one would think that if there were multiple space-traveling civilizations in our galaxy, at least one of them would have contacted us in a noticeable and meaningful way. And yet, there appears to be a dearth of evidence to suggest that we’ve actually made contact with any such civilization. I mean, it isn’t as though we haven’t been trying. And yet, so far at least, no luck. Oh, sure, there is no shortage of UFO sightings and theories about Area 51, all of which certainly makes for some good sci-fi. But when it comes to actual interaction with an alien civilizations like one would reasonably expect, there’s just nothing happening. I rather like the Fermi Paradox. First of all, it has some pretty strong parallels to the age old debate between rationalism (it just seems to make sense that there’d be advanced space-traveling civilizations) and empiricism (it just seems as though there’s no actual evidence for such civilizations). 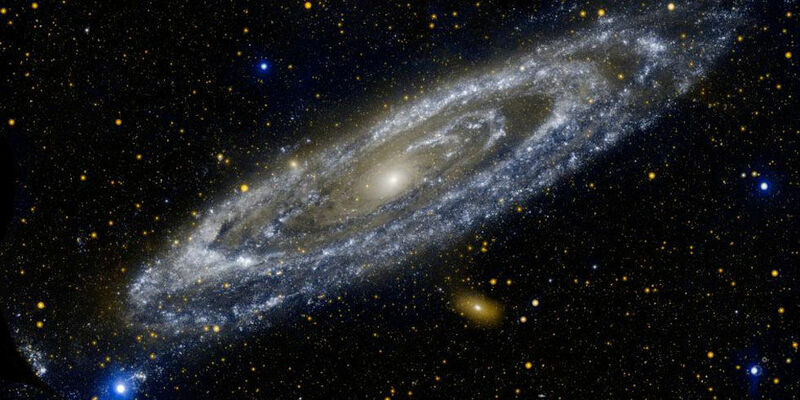 Second, I think the Fermi Paradox gives us a good analogy for understanding theological questions, such as, “Does God exist?” On the one hand, with all the fine tuning of the universe, it seems very likely that the whole thing was on purpose. In other words, there are hundreds of cosmological constants that are balanced on a razor’s edge and must each be just right (with an infinitesimally small margin of error) in order for anything in the universe to exist, much less support life. And yet, here we are. Given that our universe had only one shot at existing (most likely), it seems virtually fanciful to imagine that everything happened just right on the first try, by accident, and with absolutely no guidance or intentionality. This is where the strength of cases like the cosmological or teleological arguments comes to bear. Where such arguments come up short, or at least are often misapplied, is that they do not actually prove the existence of God. So we don’t have a good explanation from physics to tell us exactly how or why the universe came into existence when it did, and nothing in the realm of physics seems adequate for offering such an explanation (after all, how do you use physics to explain something that happened before there were laws of physics? ); however, that only makes room for God or something like God. It doesn’t prove God. Likewise, just because it seems highly improbable that everything turned out so delicately balanced does not prove that it was orchestrated to be so by God. There is always the possibility, however unlikely, that it all just happened that way on its own. Again, it would be a hella long shot, but it’s not impossible and the improbability does not itself prove theism. I find these arguments (when articulated well) to be pretty formidable attacks again pure materialism. But they are not actually arguments for God, and certainly not proof of the Christian God. They are good approximations, but we should be careful not to make them too much more than what they are. Why? Because there is something particularly empty about the universe when we go looking for hard and fast evidence for God. Yeah, it seems reasonable that something more than sheer blind chance was behind the universe we observe. But if we say that something is God, then where is He (or She, or It, or whatever)? If I pray, “God, if you’re real, then show yourself to me,” and nothing happens, how do I explain that? Wouldn’t a God, especially a personal God who wants us to know Him, be ready and waiting for such an invitation? Couldn’t we reasonably expect some pretty tangible evidence? The wonderful thing about the question of God’s existence is that, much like the Fermi Paradox, there is no shortage of explanations. Maybe God and aliens lack the means to communicate with us in a manner we can easily understand. Maybe God and aliens have no interest in communicating with us. Maybe God and aliens have been communicating with us, and we just aren’t listening properly. Maybe God and aliens communicate in ways that we just don’t expect, and our expectations for how we think they ought to communicate are myopic, self-serving, and unreasonable. Or maybe God and aliens don’t exist at all, and we really are alone in the vacuous silence of the universe. No matter what argument you choose to go with, you suddenly have to explain away other things. And we really do choose our arguments. If you have a conversation about aliens with just about anyone long enough, you’ll start to notice that they either really want aliens to exist or they really want them not to… or they don’t care one way or the other. But nobody is forming a strong opinion on whether or not aliens exist in an entirely objective and unbiased way with absolutely no interest or skin in the game. I suspect a similar thing is true with God.